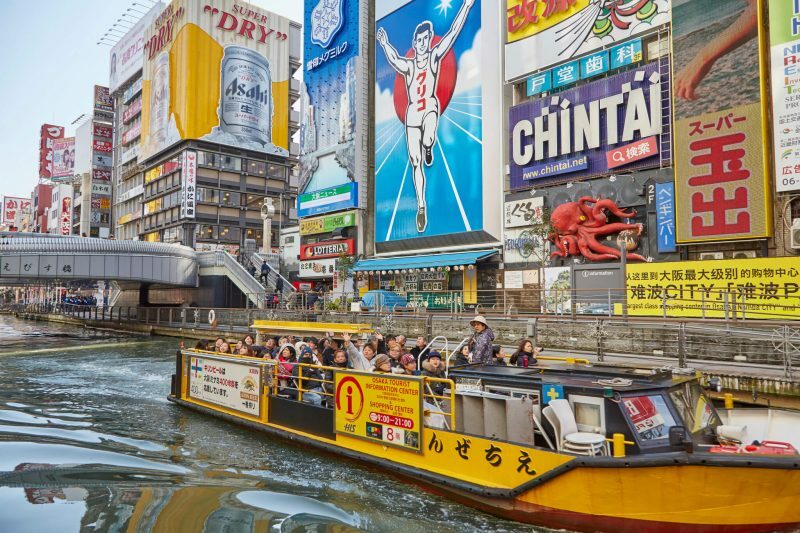 In order to plan your trip to Japan, you can begin here by firstly learning basic information and fun facts of this country and its unique culture. 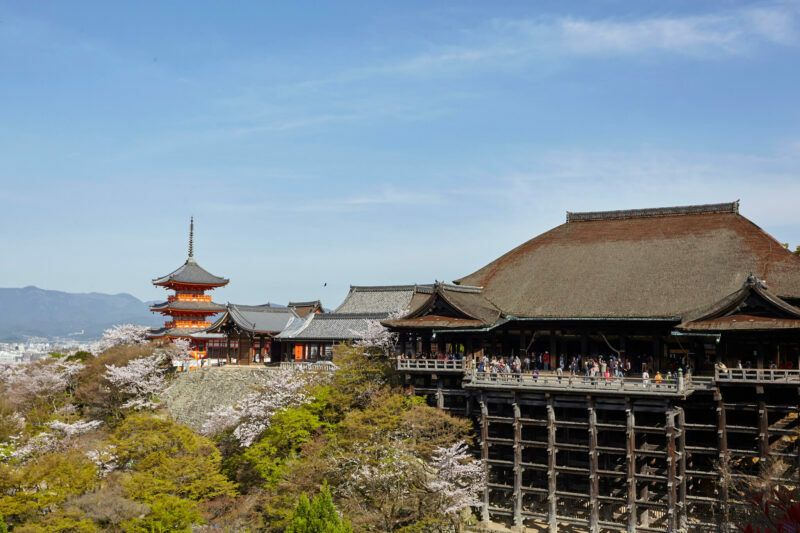 For the planners and guests of educational travel, all the important details to help coordinate an inspiring trip in Japan can be found here. Located in East Asia, Japan is an island nation that lies on the West Pacific Ocean. With an area of 377,973.89km2, it is the 62nd largest country in the world. 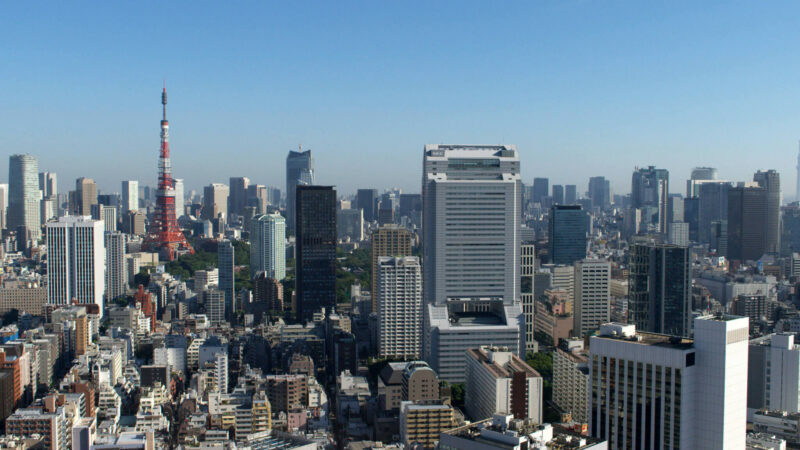 Japan has a population of 126.67 million people, the world's 11th highest, and its GDP of 5.420 trillion US dollars ranks as the 4th largest in the world (based on Feb. 2019 data). Japanese is the official language of Japan and it is spoken througout the country. Sometimes, you may also hear various and interesting "hogen" (dialects) that preserve local accents and reflect diverse community cultures. Visitor guides and travel information in English, Chinese, Korean and the other languages are available at tourist information centers in the major cities. Japan's currency is Japanese yen (円/¥). Major currencies can be exchanged at airports and banks. In general, credit cards issued by major credit card companies like Visa and MasterCard are acccepted throughout the country. All the territories of Japan sit within one time zone (UTC+9/GMT+9) that runs 9 hours ahead of GMT. Japan does not use Daylight saving time (Summer time). 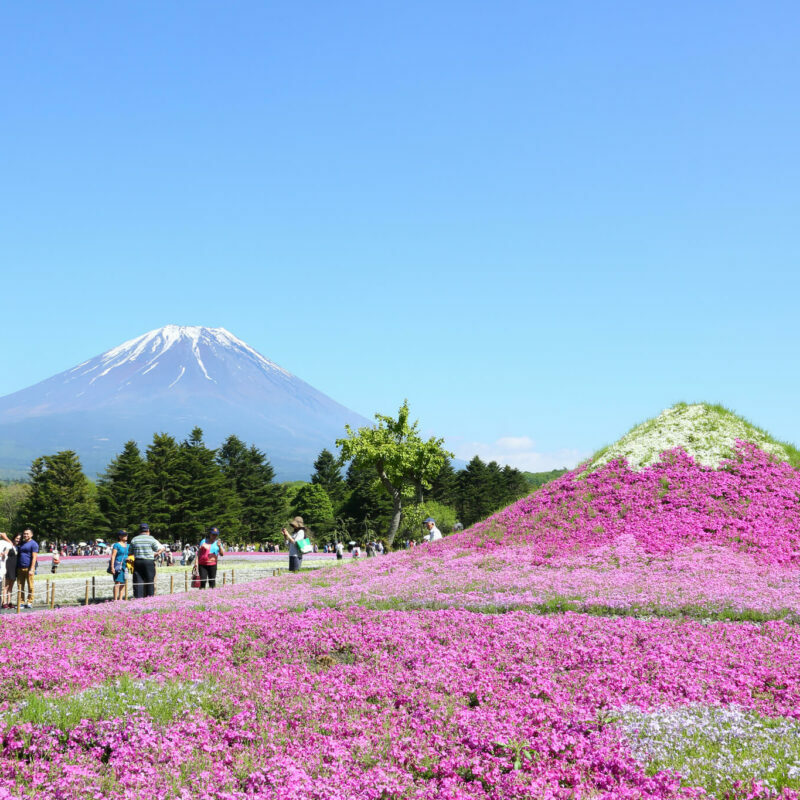 Japan has reciprocal visa exemption arrangements with 68 countries. The passport holders from these countries can visit Japan for a short-term stay of less than 90 days without applying for a visa. 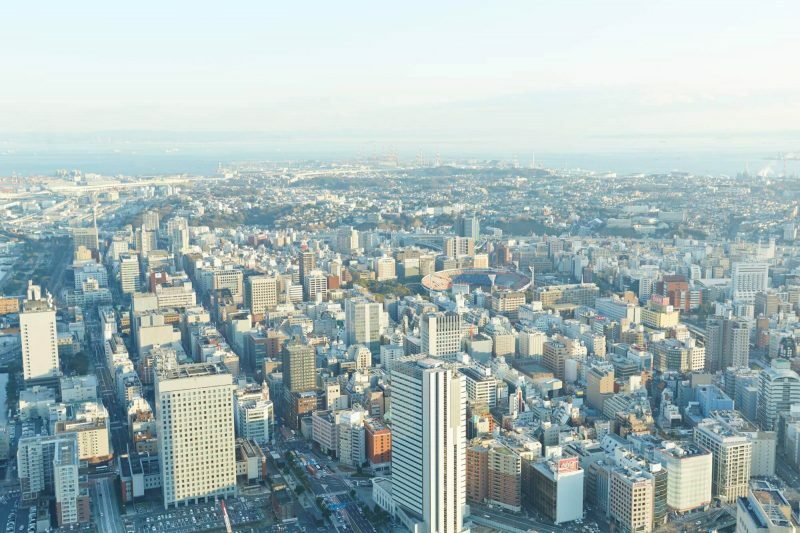 Japan is one of the world's safest countries for travelers. Its strong law enforcement agencies, stable political environment and stable economy allow Japan to top the peaceful country index in Asia. The tap water is safe for drinking, and there is also easy accesses to bottled water. The food safety in Japan is of the highest standard as well. The advanced medical system in Japan provides high-quality service. On an occasion of emergency, you can call 119 for an ambulance, and emergency care is available 24/7 at most general hospitals. If you need regular assistance from a doctor, visit a clinic, general hospital or other medical institution and ask for help at reception. For medication requiring no prescription, simple treatments and medical supplies, you can go to one of the many drugstores and consult the pharmacists or registered clerks if necessary. More information on medical services in multiple languages can be found at the link below. 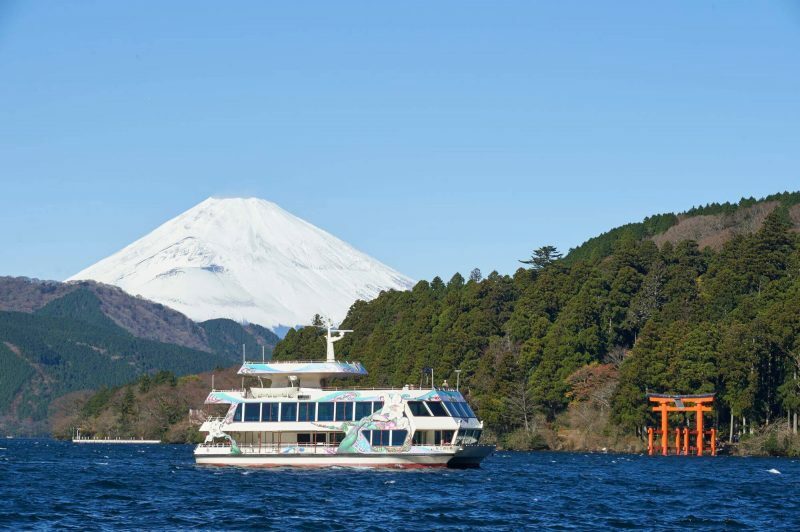 The public transportation network in Japan is well-developed and can take you to almost all popular destinations and attractions quickly and safely. 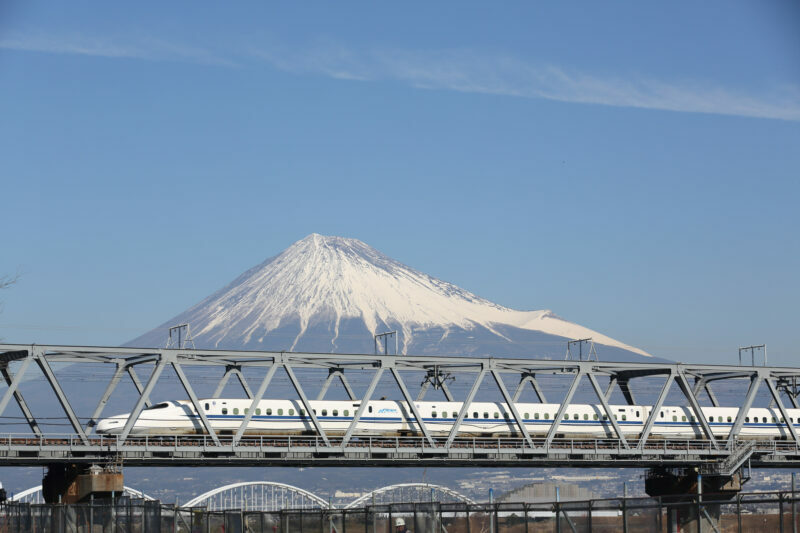 The high-speed railways (shinkansen/bullet train) and highways cover nearly the whole of Japan, connecting major cities. The railway and highway bus services allow tourists to easily travel even long distances around the country. You will be pleased by their smooth trips, their precise schedules, quality operations and reasonable fares. In addition, these country-wide transport networks link to the local railways and metro systems in many cities. By using an IC card you can ride and transfer between railways and metro systems simply with no need to buy a ticket every time. It's simple! 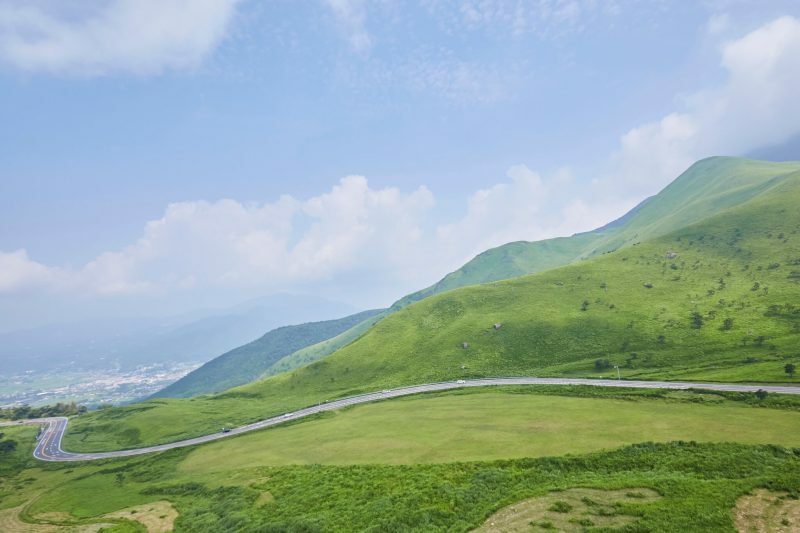 Most of areas of Japan falls within warm and cool temperate zones of relatively high humidity climate. 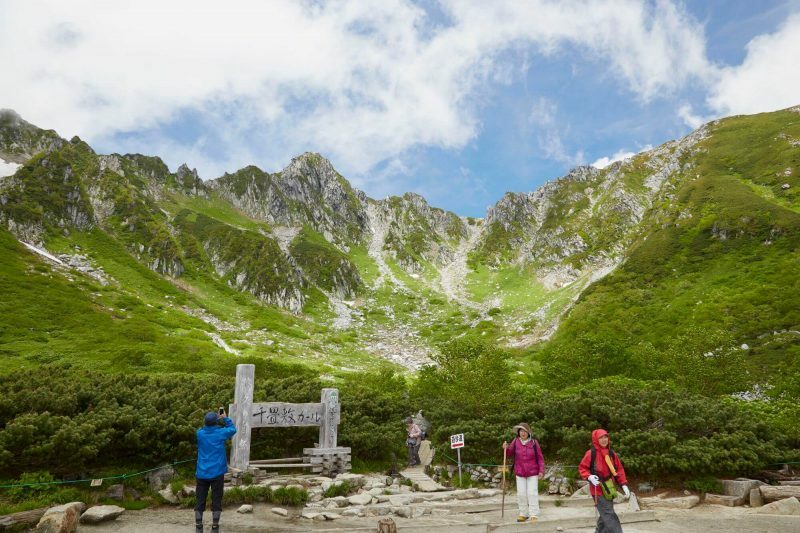 Japan is a perfect destination for immersing oneself in nature and enjoying the beauty of its four distinct seasons. The sight of flowering sakura (cherry blossoms) in spring is a particular favorite of tourists, as are summer festivals where you can eat shaved ice to help you cool down in the hot nights of summer. Autumn is the season of maple leaves with their fall shades of yellow and red creating spectacular scenery. And, of course, there is winter which best time for enjoying skiing on Japan's world-class snow and warm yourself with a shabu shabu hot pot. On average, the month of January is the coldest, while August is the hottest month of the year. The rainy season of Japan falls within the period June to July. 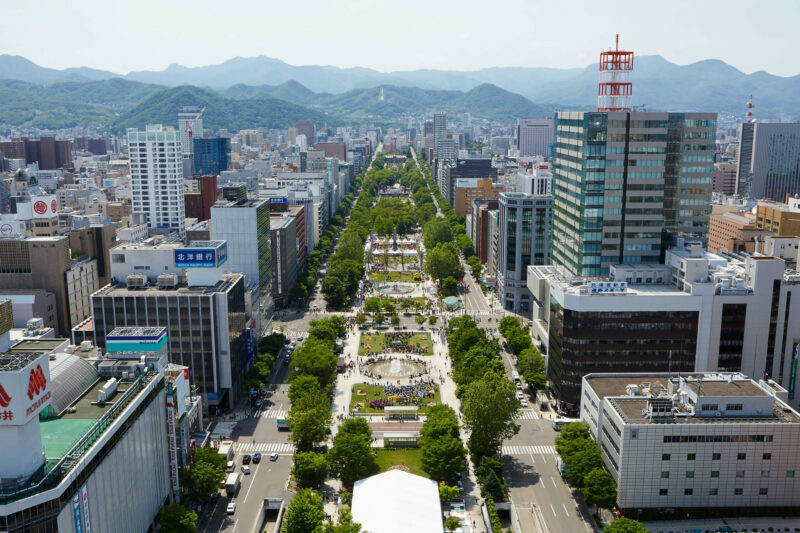 Situated on the Circum-Pacific Seismic Belt and near the subtropical zone, Japan is well-known for natural disasters, such as earthquakes and typhoons. Due to plate tectonics, Japan was geologically formed as a mountainous country with volcanic eruption and tsunami taking place sometimes. Learning the lessons of its past natural calamities, Japan has developed a highly organized and efficient system of precautions, education, relief and risk management. 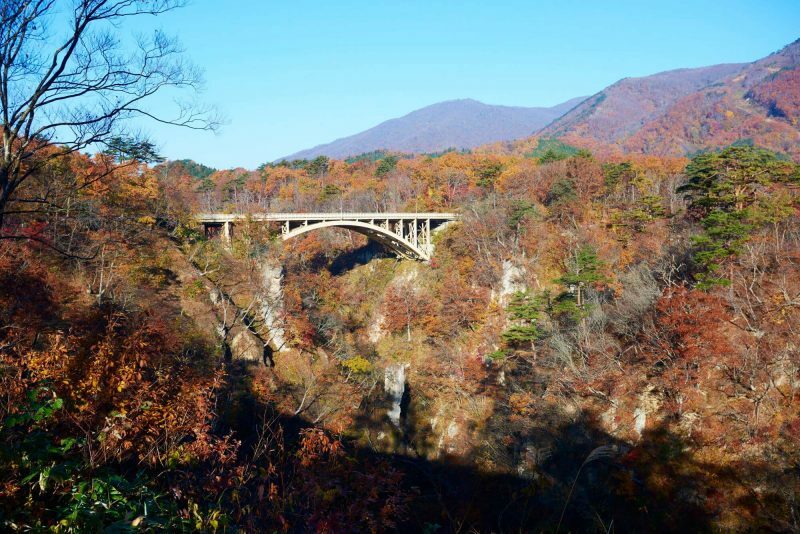 Despite the inevitable loss brought by these acts of nature, Japan takes advantage of its naturally occuring landscapes and experience in coping with disasters to continue to reestablish tourism and local economies afterwards, and to continue to develop state-of-the-art technologies to mitigate loss and protect people. Recently, the number of Muslim travelers visiting Japan has been growing year by year. The number of Muslim-friendly halal-accredited restaurants and other facilities as well as mosques in Japan have also been increasing. The tourism policies have also been adjusted in response to the needs of the expanding Japanese Muslim community as well as Muslim tourists. In general, Japan is religion-tolerant and is striving to build a Muslim-friendly environment to meet the standards of Halal tourism. 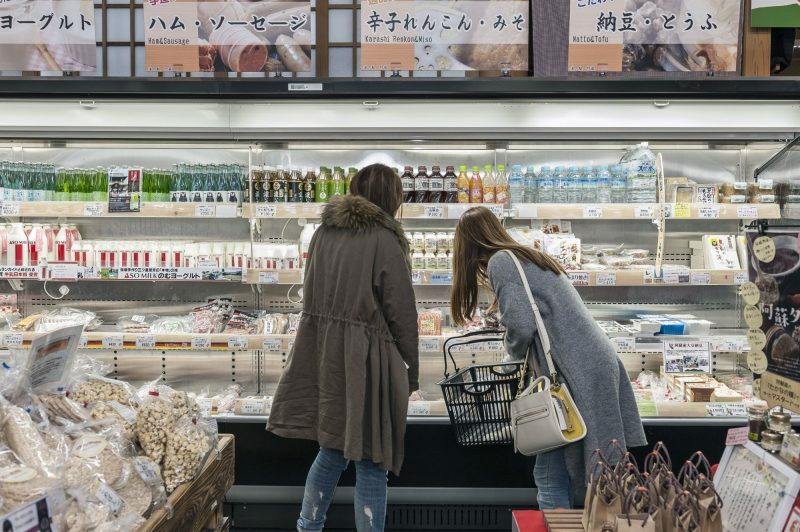 Currently, Japan has no specialized agency for halal accreditation, but Muslim-friendly resources and information can be found at Japan Welcome Guide for Muslim Travelers , Japan Guide for Muslim Visitors , Halal Gourmet Japan, and Halal Expo Japan. Let's see how to coordinate the perfect educational travel plan for your students. 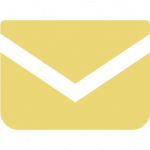 For planning educational travel and school exchange events during the trip, go to our School Exchange page to get ideas. First step to an unforgettable educational travel experience is deciding where, and for how long, you would like to visit and stay in Japan. A list of your desired destinations helps build an itinerary. Once you have decided which locations to visit, it's time to connecting the dots. Have your passports ready and book flights and accomodation round five months before your planned date of arrival. Educational and exchange events are key to a good educational travel plan. JNTO is here to offer support of matching partner schools. With several destinations as well as dates of arrival and departure decided, it is time to go on to build your itinerary. Which are the most interesting spots you desire to visit? What is the best way to reach these attractions? Remember to check out the transportation methods and make reservations if necessary. As the departure date is coming, get ready to present your program and coordinate the event for the meet-up day with your partner school. It's time for your educational travel! Take your flight and get ready to enjoy the experience of Japan. Personalize your educational travel with the travel guide to the key information for getting around in Japan. Start by picking travel dates, locations and places to stay. January is the coldest month of a year. The weather is often windy and dry. From January 1, New Year, through the beginning of this month, most of schools, public services and many private sector businesses are closed for New Year Holidays. It is quite cold and often snows in January in the Northern regions. There is seldom snow, but it is sometimes cold and windy. It is much warmer all year round in the Southern Islands, and there is no snowfall. It's still cold and sometimes snowy in February. Plum blossoms can be seen in certain areas. Generally, February is the period when students take entrance exams for high school and college. As the northernmost region of Japan, in February, Hokkido and the Northeast are still experiencing cold weather. It is still cold in most areas of Main Islands. The average temperature falls into the range of 5-7 degrees Celsius. The warm and humid weather allows the cherry blossoms in part of the Southern Islands to bloom from February. 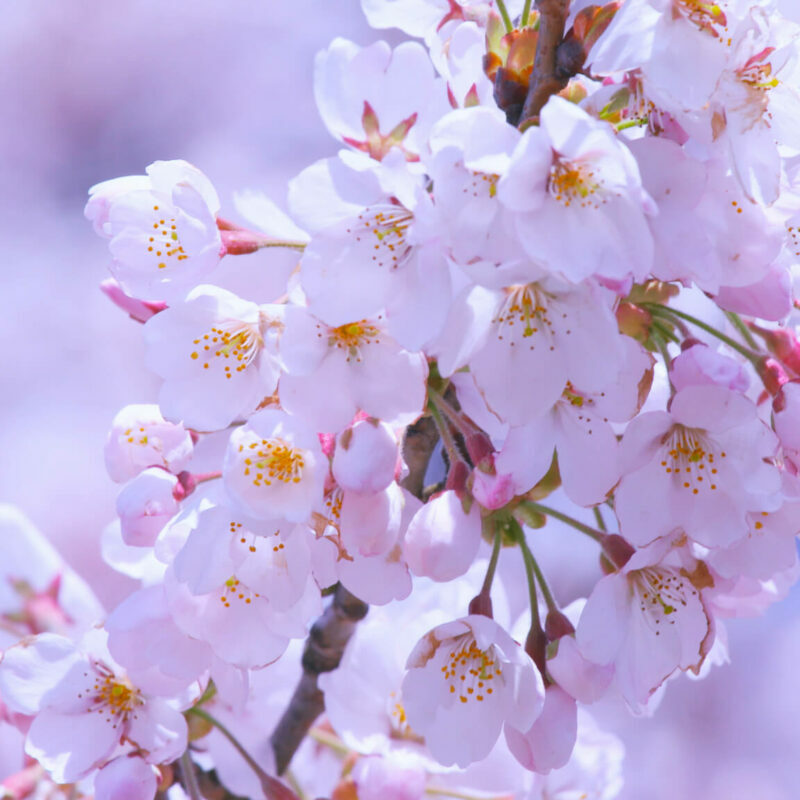 The spring is approaching, and cherry blossoms begin to bloom in most regions from mid to late March. 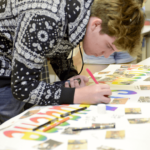 From the end of March, students have a Spring break that lasts until the beginning of April. The average temperature rises above freezing point. It becomes warmer but sometimes still chilly in Hokkaido and the Northeast. The weather becomes warmer, and around the late March, cherry blossoms reach full bloom in most cities. It's warm and humid with an average temperature over 18 degrees Celsius. It is spring and the season of flowering wisteria. Every year, schools start their new academic year at the beginning of April. 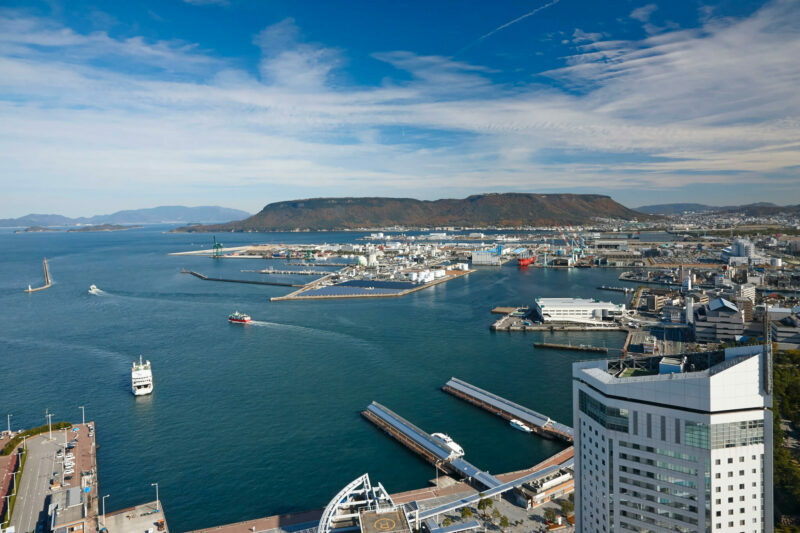 Though Hokkaido is still of an average temperature below 10 degrees Celsius, the Northeast gradually becomes warmer. 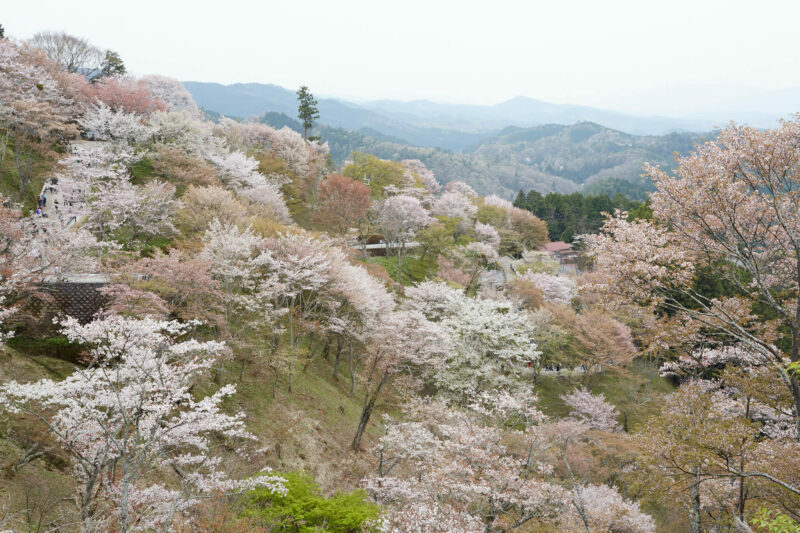 Fully blooming cherry blossoms can be seen in part of this region in April. As the wisteria flowering season is in April, and the weather is warm enough for outdoor activities, many tourist spots with wisteria blooming become travelers' favorite during the month. The average temperature in the South Islands rises to over 20 degrees Celsius which makes the region a first choice for water sports. The average temperature rises to a pleasant 15-20 degrees Celsius, but sometimes it is cool so travelers should bring light coats or jackets. At the beginning of May, there is a seven- to ten-day public hoiliday called "Golden Week". The weather in the Northern region remains cool with the average temperature ranging from 12-15 degrees Celsius. It is generally warm in May, but sometimes the temperature drops drastically during nights. Remember to bring long-sleeve tops or outerwear to keep warm. Part of Kyushu and Okinawa enter the rainy season in the early to mid May. 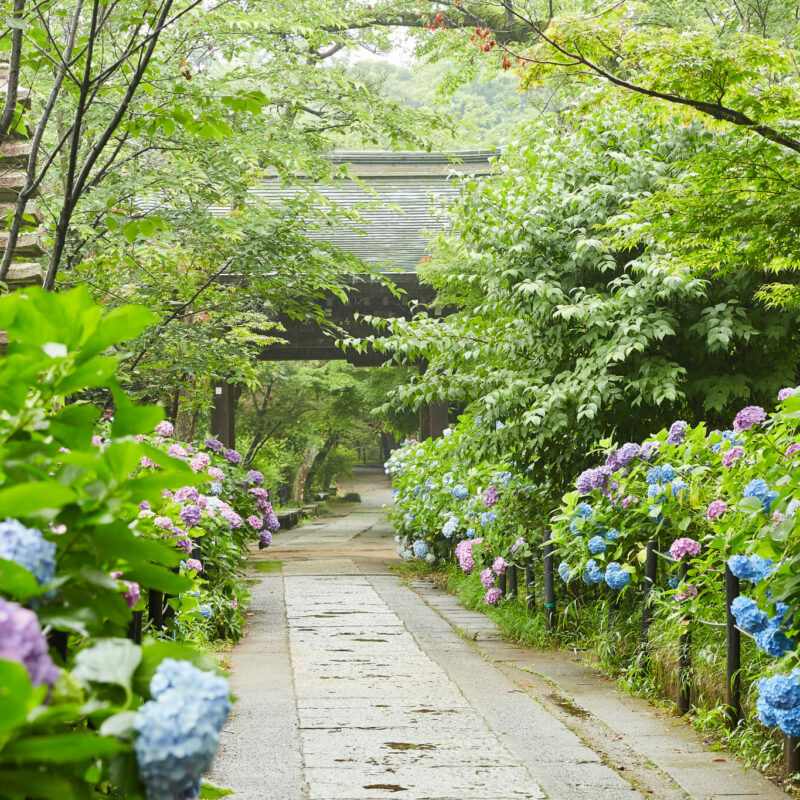 The early summer season of June is warm and famous for being the hydrangea flower season. It becomes more humid as the rainy season starts in June. The weather is frequently sunny in June which makes it a perfect season for travelers to visit Northern region. Honeydew melons are in season. As warmer weather and the rainy season arrive, travlers are suggested to bring sunscreen and umbrellas. In Southern Islands, it's hot and humid in June. Remember to bring an umbrella in case there is a shower in the afternoon. Entering summer, the weather heats up, and sometimes there are typhoons. Many festivals (matsuri) are held in summer. July is great for traveling to the North due to the mild weather. 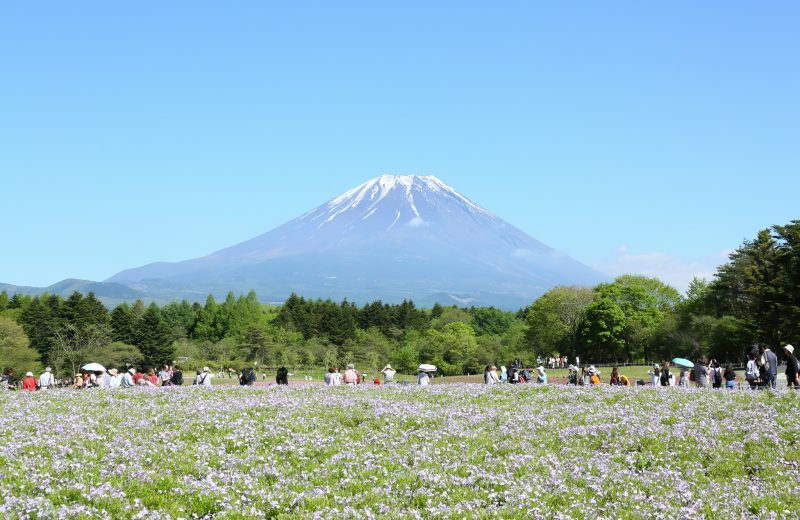 From early July to early August there are seas of aromatic and gorgeously purple lavender in bloom in Hokkaido. It's sunny and hot with occassional showers. 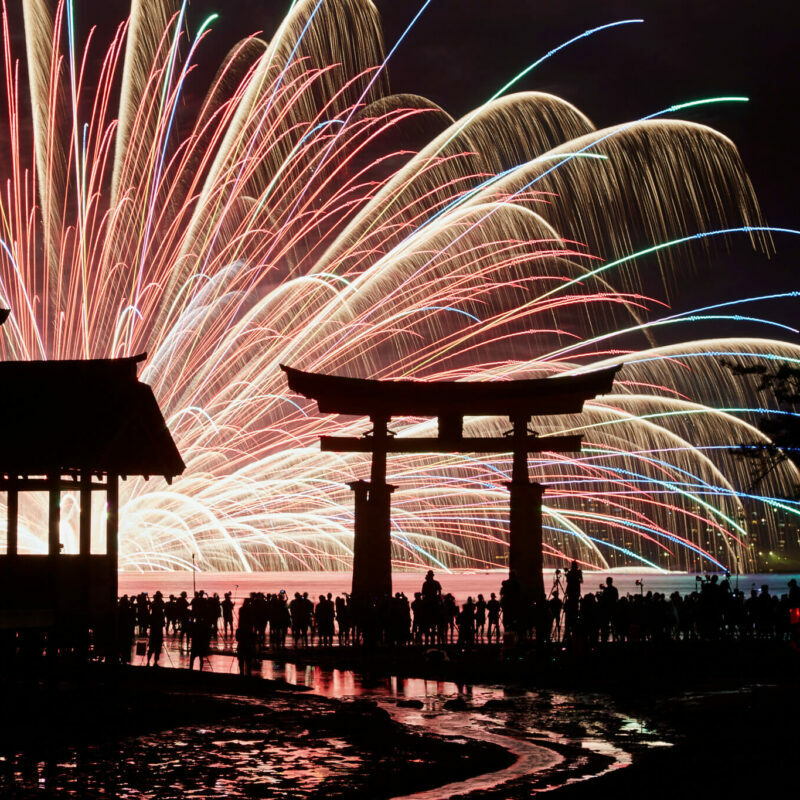 Amazing fireworks shows are held in many cities with outdoor festivals. It can be scorching in summer in parts of South Islands. Travlers are suggested to bring UV-blocking sunscreen and clothing and to stay hydrated. The weather of most of the regions remains hot and humid. Ocasionally, there are a few typhoons from June to September (the main typhoon season). 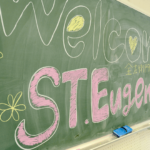 Most of Japanese students are on summer vacation in August, and around the mid August, there is a seven- to ten-day vacation. Overall, the mild weather allows travelers a comfortable environment to visit the North. Take care to sunblock during daytime and staying warm in cool nights. The weather is sometimes hot and humid so travelers are advised to take a bottle of water and sunscreen products when going outdoors. Beware of strong sunlight and UV rays. Stay hydrated to prevent heat stroke. The season turns into autumn in September. During daytime, the weather is mostly mild and comfortable, but during the nightime it is best to have jackets to keep warm. Entering autumn, the average temperature drops down below 20 degrees Celsius. Travelers are advised to bring long-sleeve tops and jackets. It's cooler and comfortable in autumn. September is the cosmos flower season in parts of Main Island. The weather still remians humid and suitable for water sports. Keep alert for forecasts on typhoons. 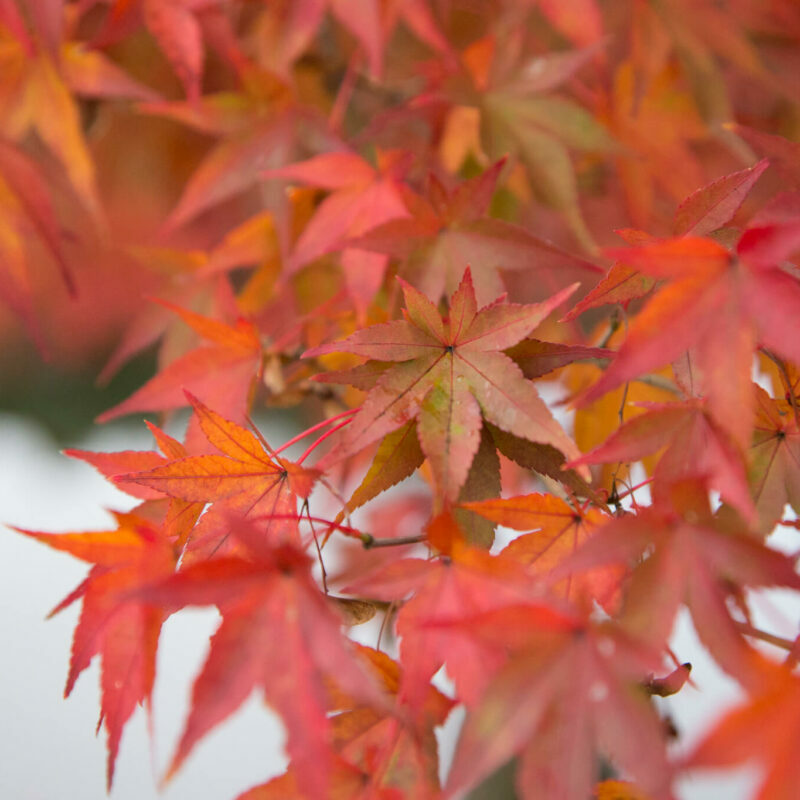 As mid-autumn comes, maple leaves gradually turn orange and red hues. 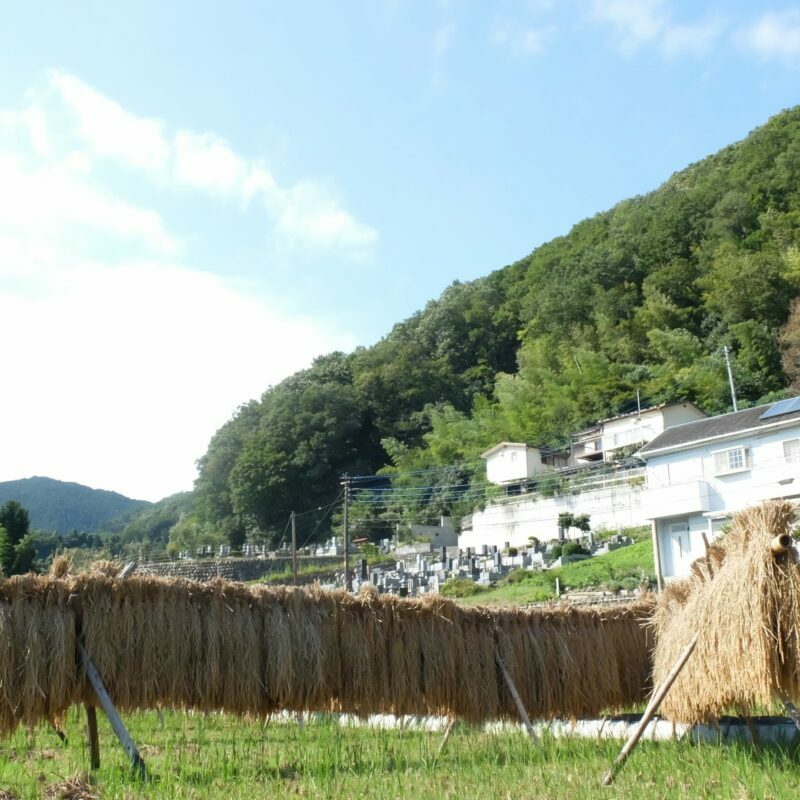 It's genrally cool and comfortable in October and that makes this month a hot season for tourists. The average temperature drops to 10-12 degrees Celsius. It's cooler than the other parts of Japan in the North, so the region is famous for its scenic early autumn leaves season. Autumn is the season of harvests. So, there are plenty of options for fresh Japanese fruits to enjoy in the cool and mild weather: for example, juicy peaches, grapes, oranges, pears, apples and persimmons. The weather in October is more pleasant and suitable for doing outdoor activities for long periods. Please come to enjoy the festivals. It becomes colder, and some regions in Japan may start to see frost and light snow. November is the month that winter sports resorts start to open to guests. With the average temperature drop down to 10 degrees Celsius or even lower, snow may be expected in some areas. The Northern region is one of the best places for winter sports. It is cool with an average temperature between 10-15 degrees Celsius. Be sure to keep warm, especially when staying in mountain areas. The weather is mild and comfortable without the scorching sunlight of the previous months. Also it is not very humid in November. It gradually becomes cold in December, and some areas snow is to be expected. Over the year-end and New Year period many people, government services and organizations tend to take a break of about one week. Many parts of the Northern region expect snow as the temperature becomes colder in December. Compared to the North, the weather in main island is much milder, but travelers are advised to be aware that the temperature can drop down quite low on rainy or windy days. South Islands, particularly Okinawa, generally continue to have warm weather even during winter. There is no snow in this region. Haven't decided where to visit and stay? 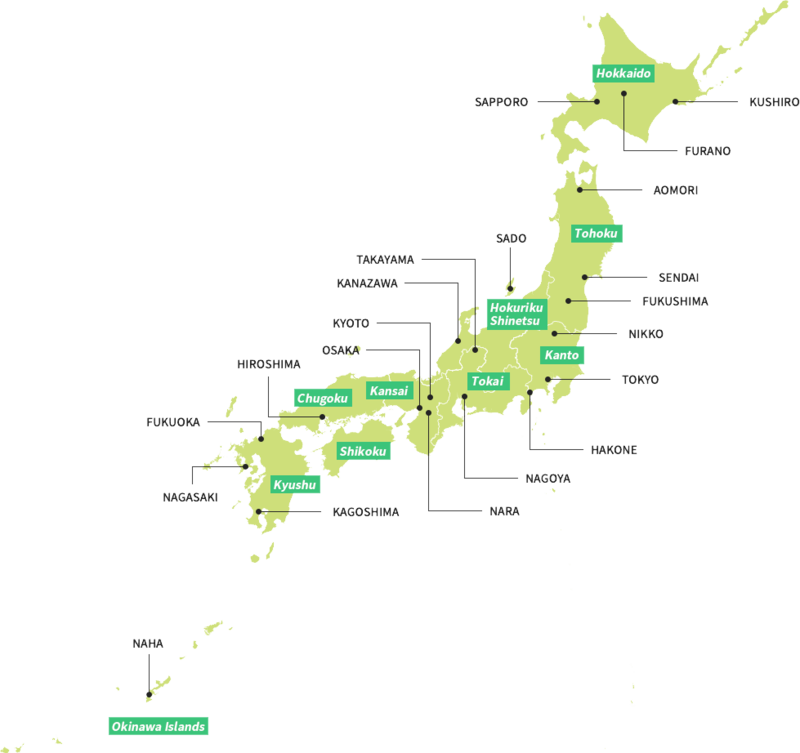 Take a look at the guide to ten regions in Japan. 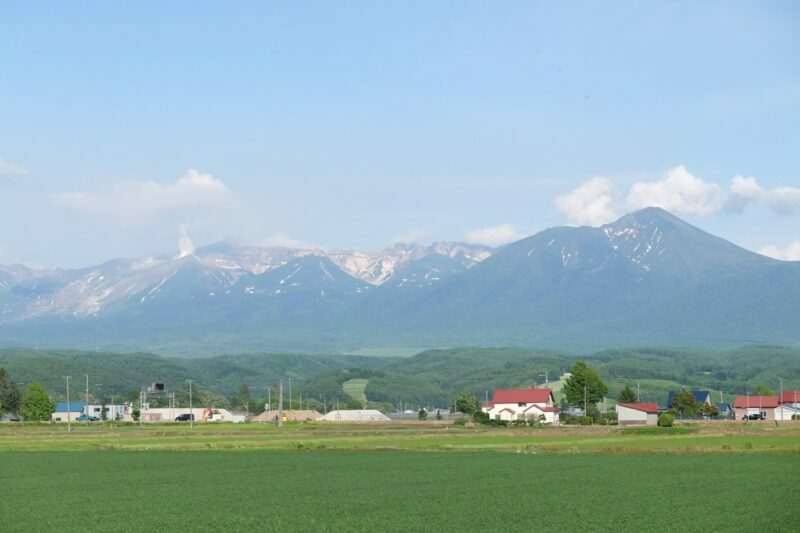 Embrace and explore the wide green fields of Hokkaido. The unpolluted environment offers the chance to get close to nature, a soothing experience for the travelers' mind. 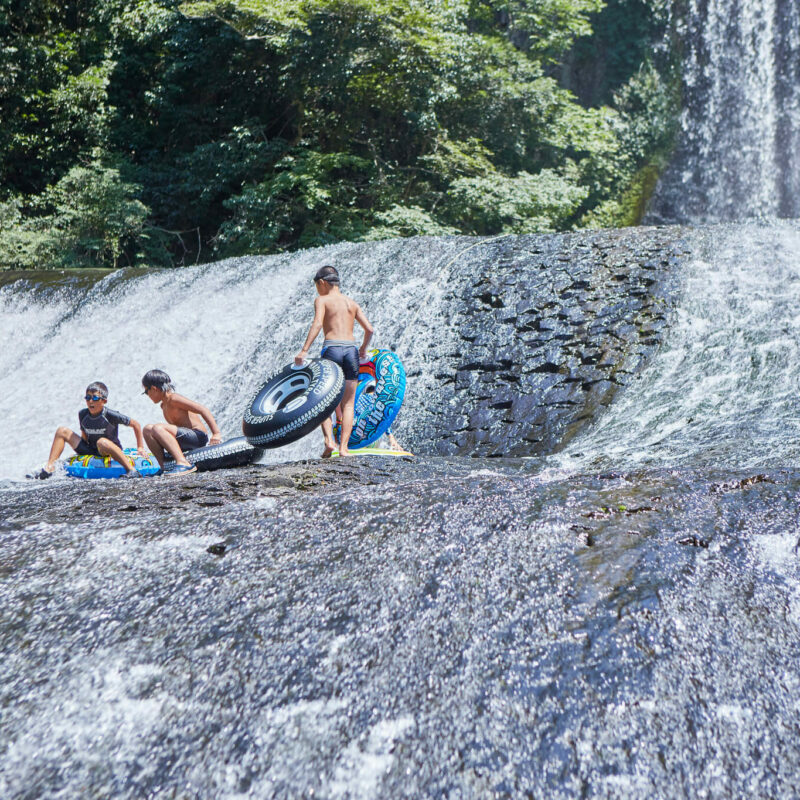 With a variety of outdoor activity options, you can stretch your limbs and try some challenging pyshical exercise surrounded by nature such as cycling, canoeing, hiking and rafting. 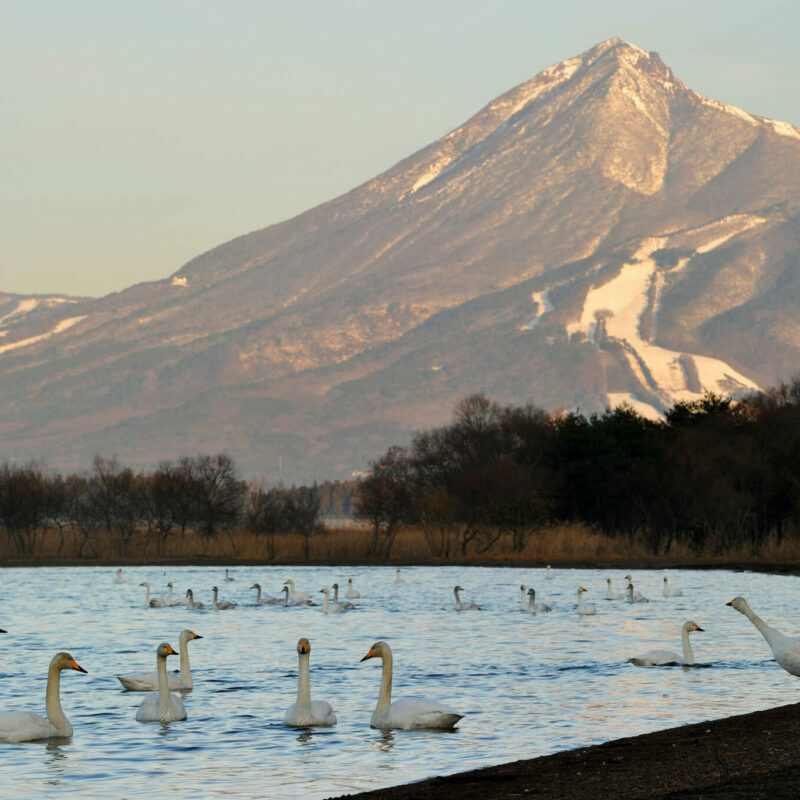 In winter, Hokkaido treats the visitors with the world-class winter sports venues and resorts. Come to enjoy skiing, dog-sledding and snowboarding in the snow season! 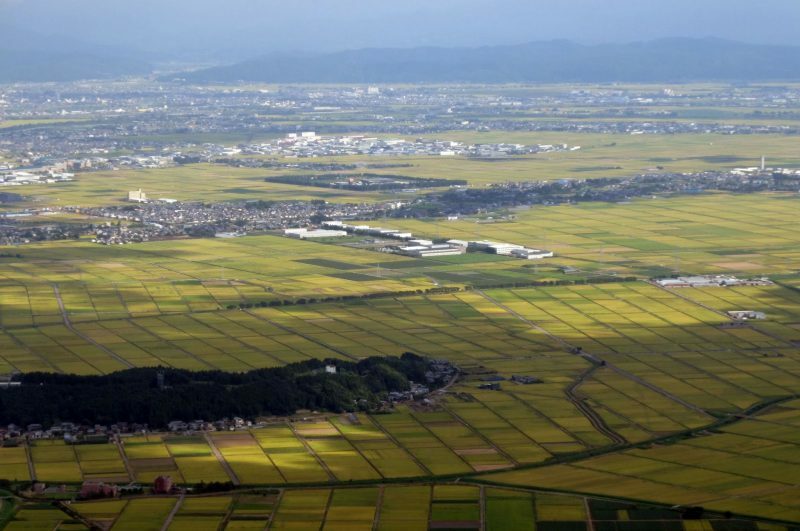 The Tohoku area includes six prefectures of the mixed culturalscape consisting of rich historical sites, rural and suburban settlements, and magnificent natural landscapes. Gradually recovering from the disastrous earthquake in 2011, the area has become a popular destination for international tourists in the recent years with its quality produce, its varying landforms and views, in August, the spectacular festival, Aomori Nebuta Matsuri, and Hiraizumi listed on UNESCO World Heritage, in Iwate. Don't forget to taste sweet cherries in Yamagata and juicy peaches in Fukushima. The Kanto area is where the megacity Tokyo is located. 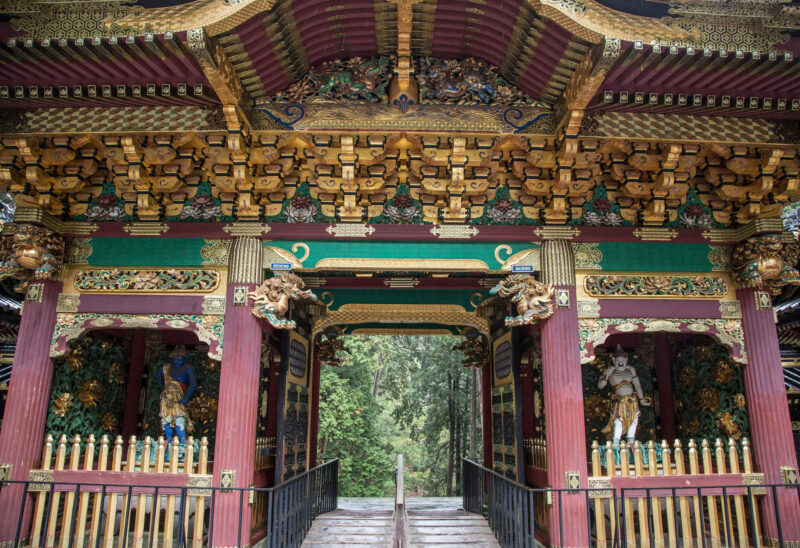 In addition to the amazing experience of night views and shuttling through the hustle and bustle of this metropolis, the UNESCO World Heritage listed city of Nikko just two to three hours away is definitely worth a visit. 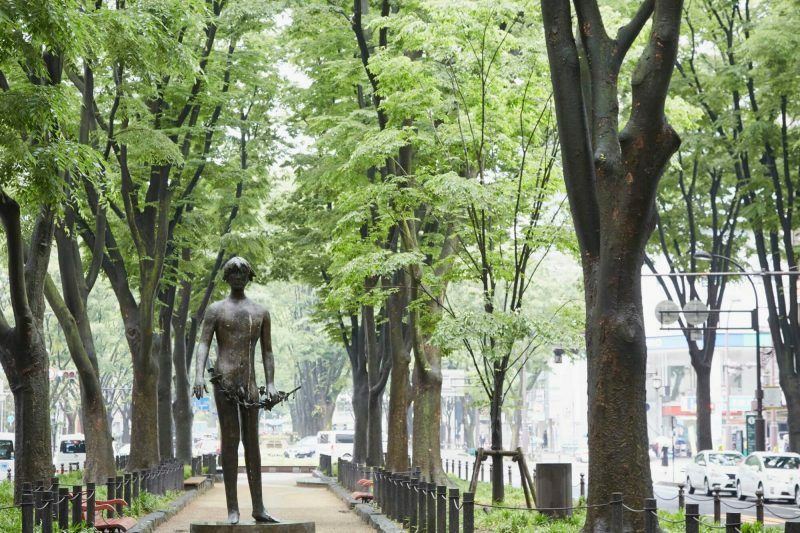 Around Tokyo, there are prefectures with historical treasures and hot springs, such as Gunma and Saitama. 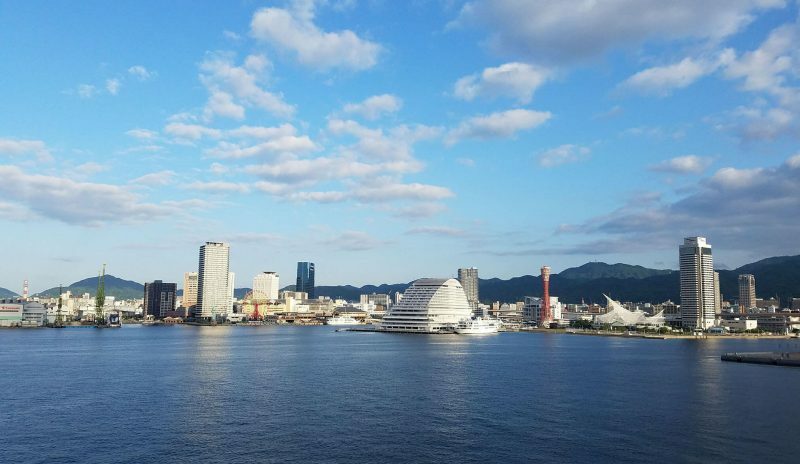 To explore the region's diverse marine, international trading and immigrant culture, visit Yokohama, the port city of Kanto famous for its fusion lifestyle and food. 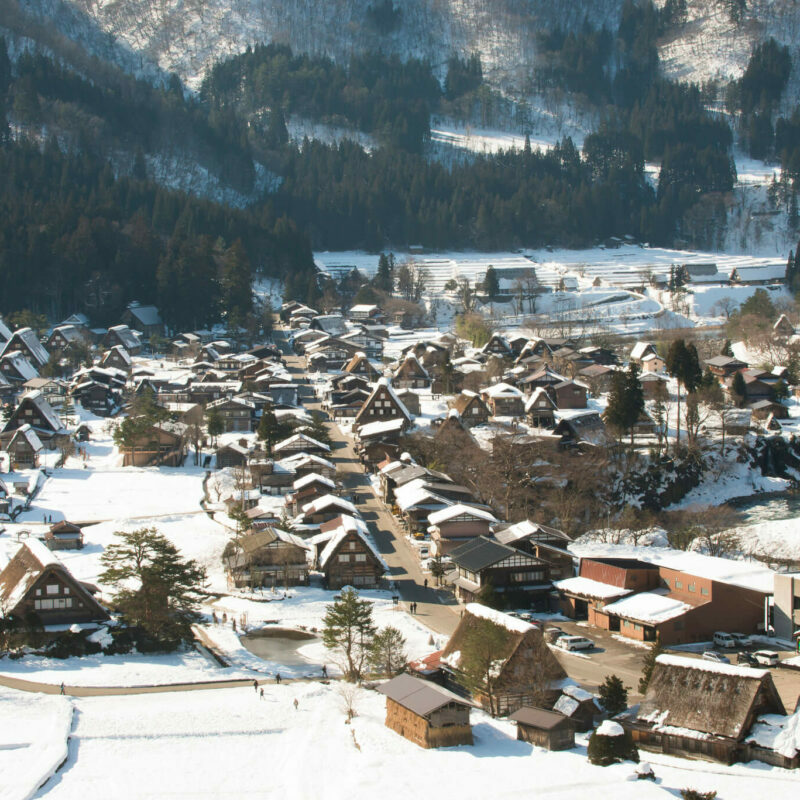 Boasting the beautiful Northwestern coastline of the main island and the mountains of the "Japan Alps", the Hokuriku Shinetsu area has nutured the rich culture consisting of delicacies, exquisite crafts and a lifestyle balanced between the nature and human activity. 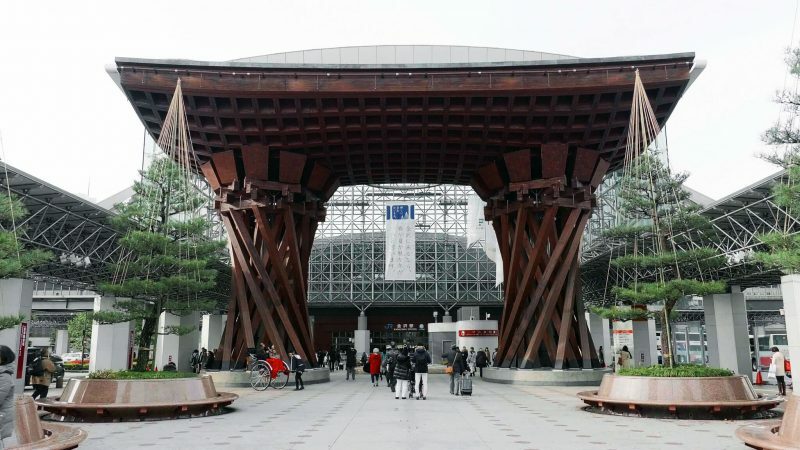 Besides enjoying the best of fresh seafood, sake and fruits in the country, it is worth an artistic trip to Kanazawa, the cultural capital of the area to learn about traditonal crafts and contemporary designs. 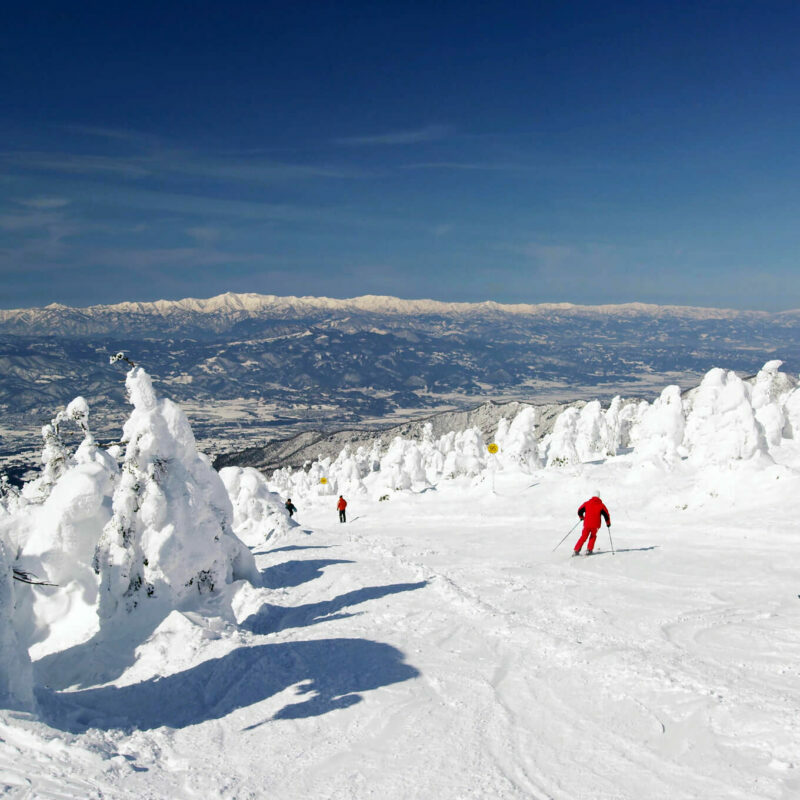 In addition, Niigata and Nagano are two of the best locations in Japan for winter sports. The Tokai area is renowned as the home of Mt. Fuji. 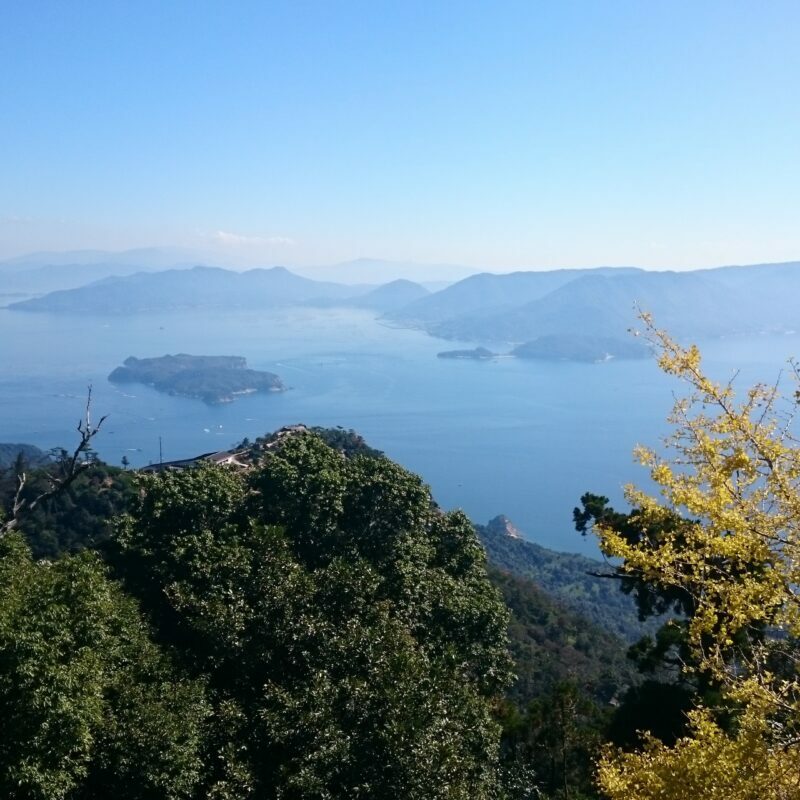 Around this icon of Japan, there are resorts of hot springs and natural splendors, such as Hakone and the Fuji Five Lakes area. Feel like immersing yourself in history and culture? 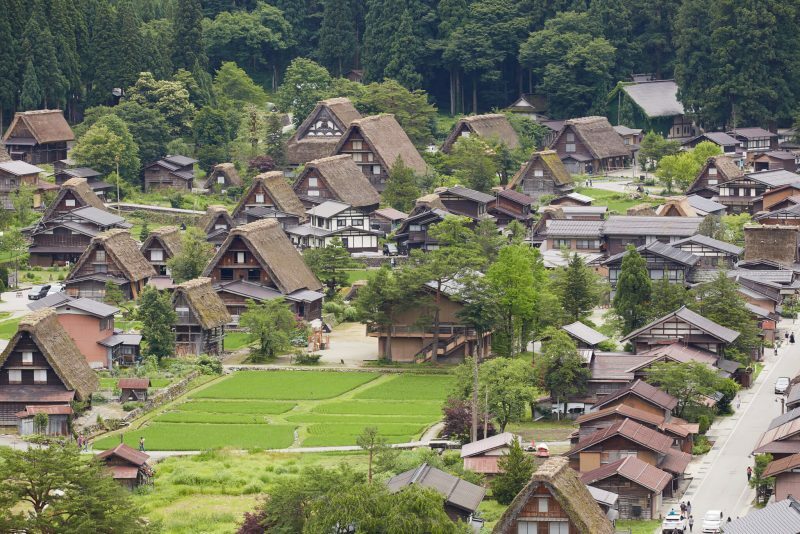 Visit the Historic Villages of Shirakawa-go and Gokayama listed as UNESCO World Heritage Sites, and visit Isejingu, one of the most time-honored Shinto shrines of Japan. For those tea lovers, don't miss the green tea plantations in Shizuoka. 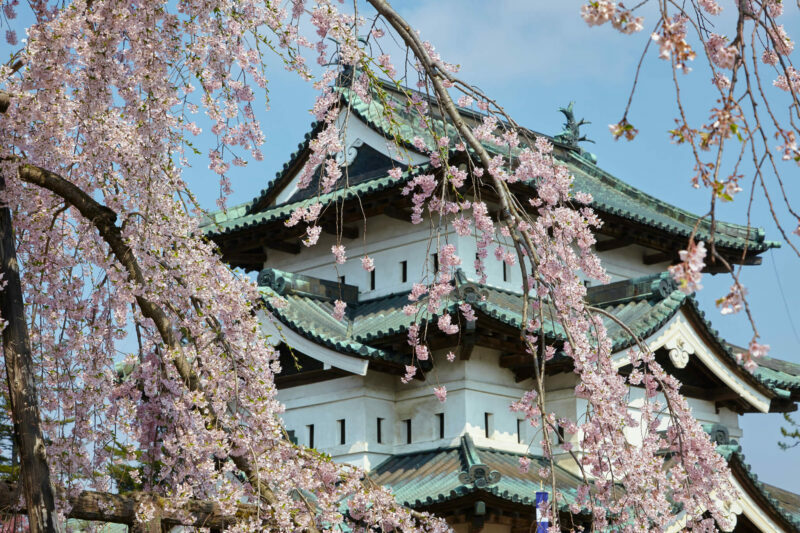 Kansai is the cultural and religious capital of Japan with castles that have survived the centuries, spiritual Zen gardens, and many culturally important ancient temples and shrines. 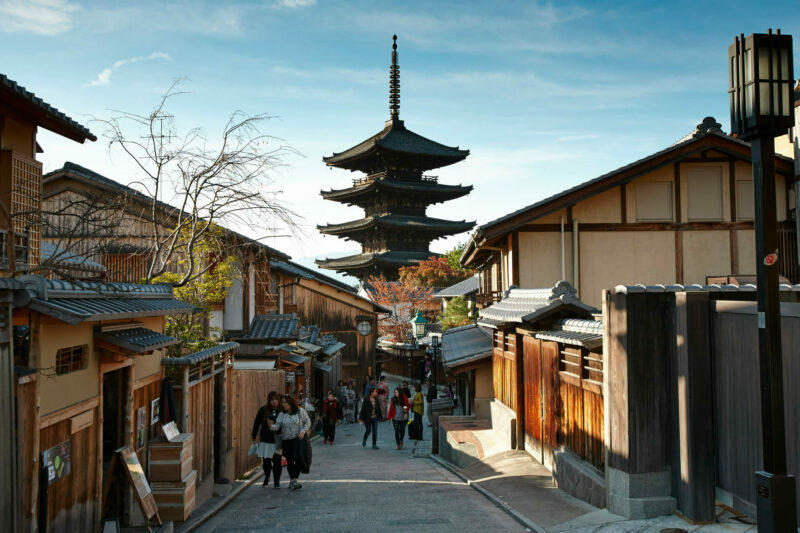 Immerse yourself in the tranquility and majesty of the religious and historical sites in Kyoto, Nara and Wakayama. 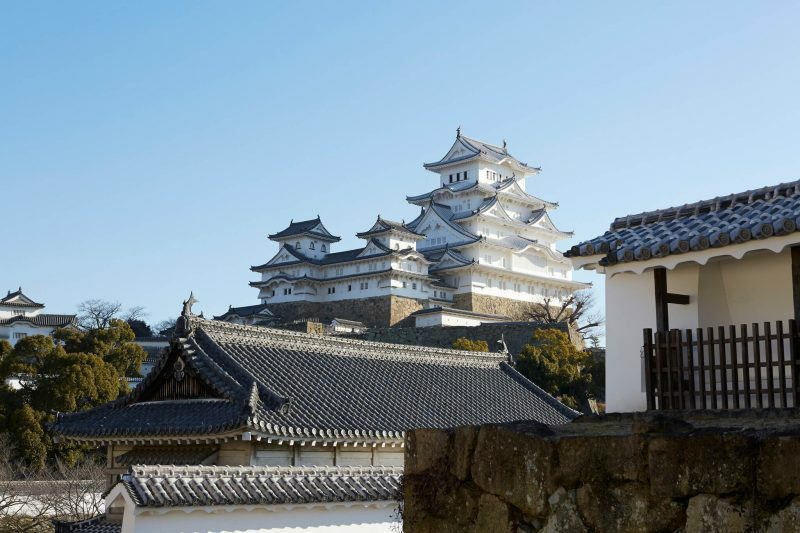 If you are a fan of history or architecture, don't miss the most well-preserved of all Japan's castles Himeji Castle in Hyogo Prefecture that represents the glory of samurai culture and Japanese traditional craftmanship. 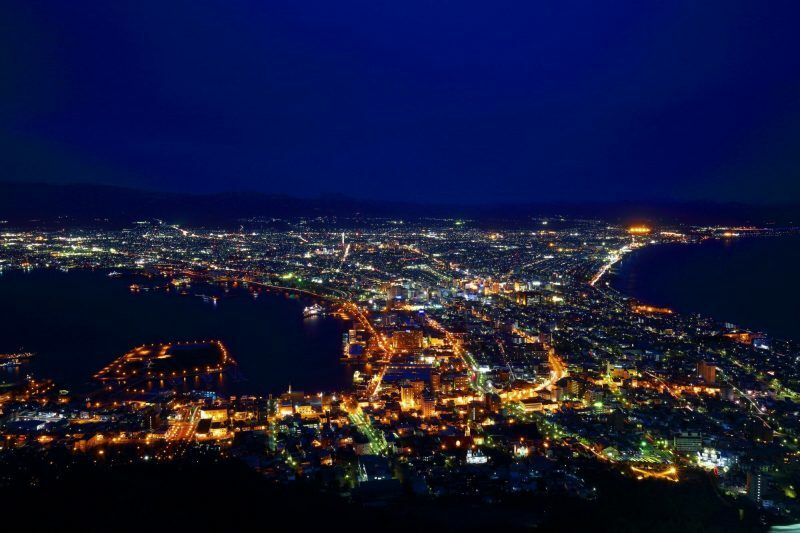 Just an one to two-hour's trip by train from the sites above, Osaka and Kobe are gourmet paradises with nice ambience thanks in part to their photogenic night views. 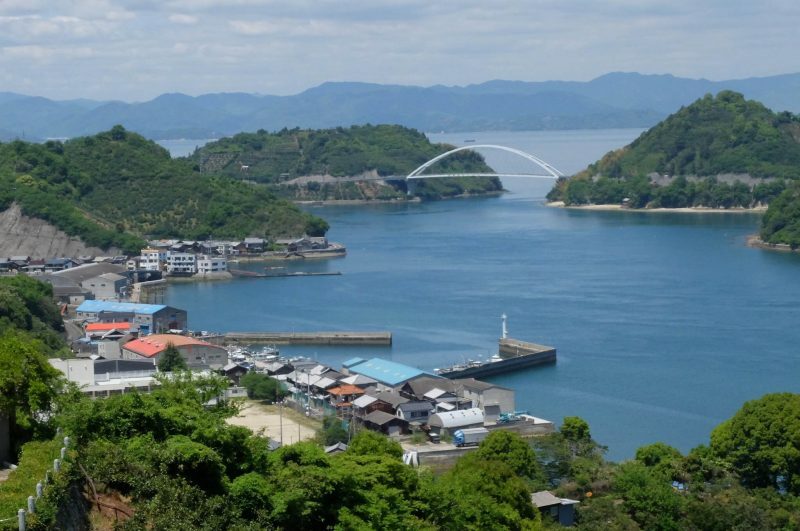 Located in the west of the main island, the Chugoku area is the bridge to the island regions of Kyushu and Shikoku. The most famous tourist attraction in Chugoku may be the famous "floating" Itsukushima Shrine in Hiroshima Prefecture. 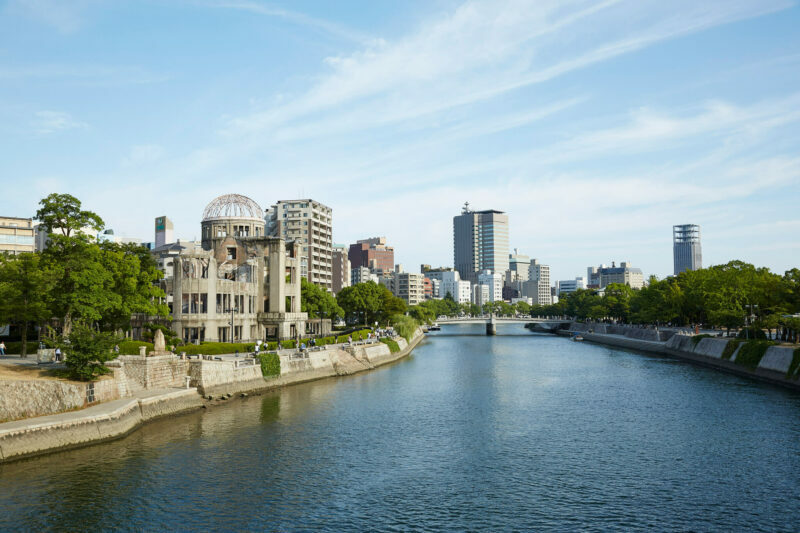 In Hiroshima, There is an Abomb Dome the UNESCO World Heritage listed. In Tottori and Shimane, there are rural landscapes, and Shimane's Izumo Taisha Grand Shrine is worth a visit as the sacred place that is believed to be the gathering venue of all the gods of Japanese Shinto religion. 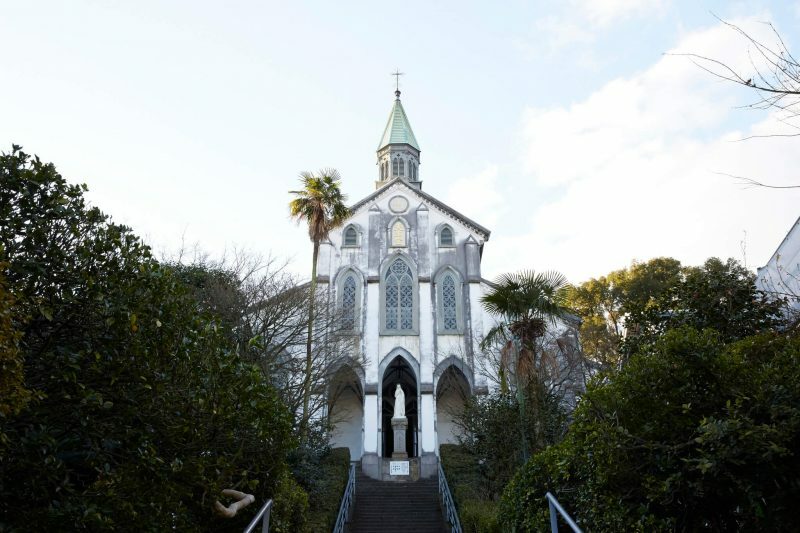 In addition to the ancient shrines, you can learn about the modern history of Japan and "Meiji Reforms," the modernization movement of the country in the 19th century, at various hitorical sites in Yamaguchi. The one of the regions most popular attractions with foreign visitors is the Mizuki Shigeru Museum and yokai (monster and spirit) statues of Kitaro Road in Tottori. 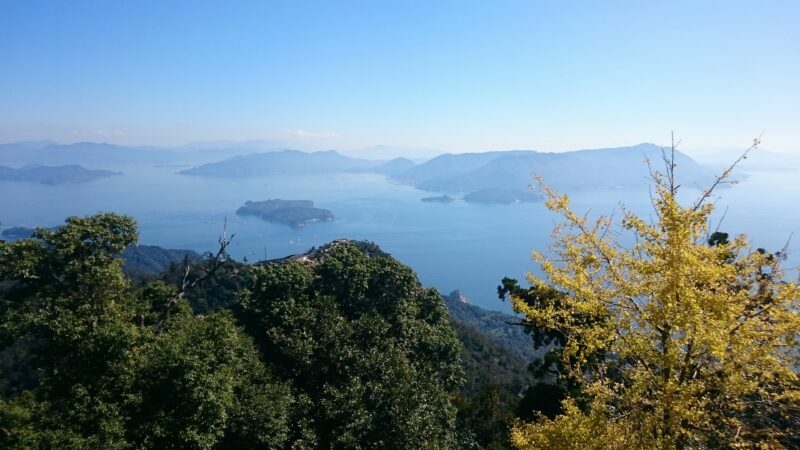 Shikoku is the smallest among the four main islands of Japan, but is definitely the most vibrant with its abundant resources in nature and culture. 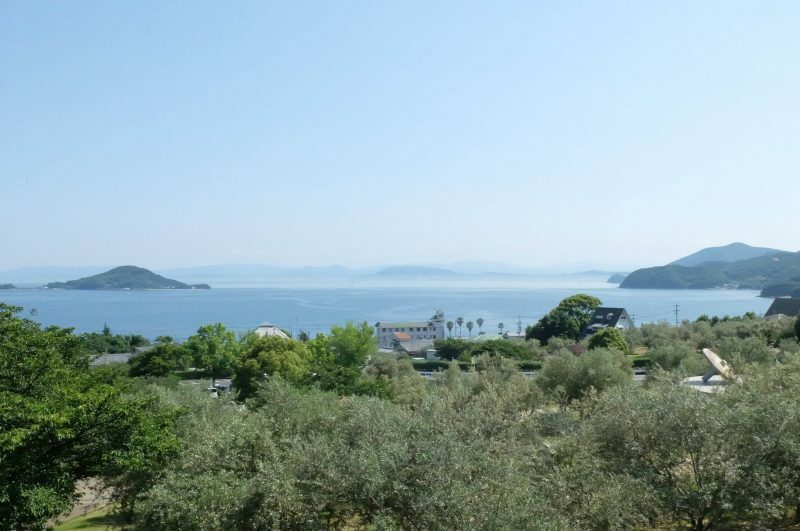 Take a rail tour to enjoy the views of Seto Inland Sea coastline, and if you happen to visit Shikoku in summer, you may plan an island hopping journey to appreciate artworks of the Setouchi Triennale. 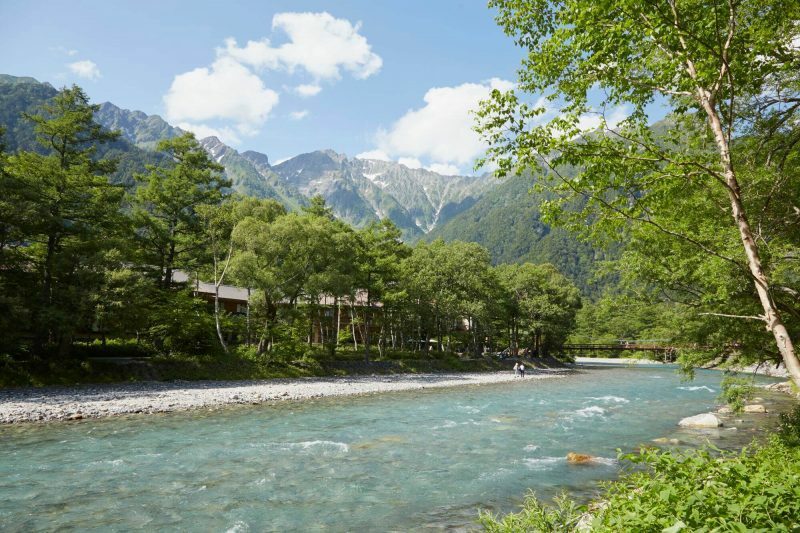 Don't forget to taste the udon noodles of world-fame produced in Kagawa and visit one of the Japan's oldest hot springs, Dogo Onsen with its history of over a thousand years of use. 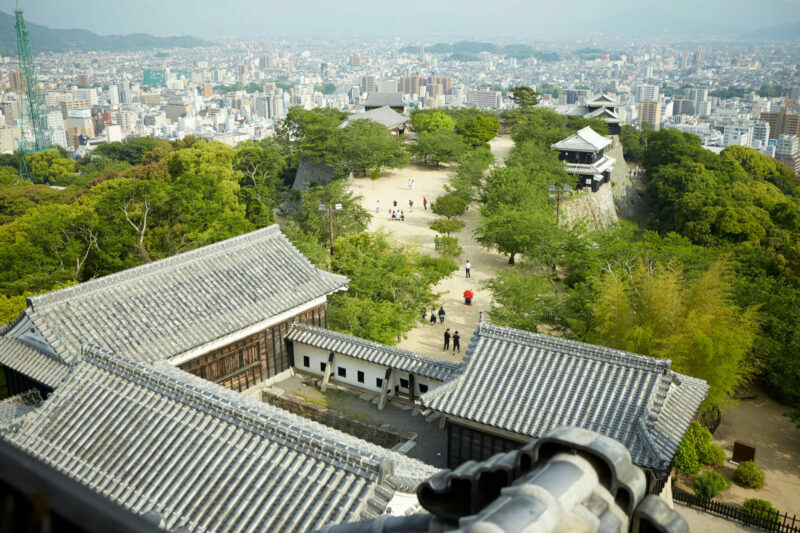 In Kotohira, see Japan's oldest working kabuki theatre and try climbing the thousand steps of Konpira-san shrine. 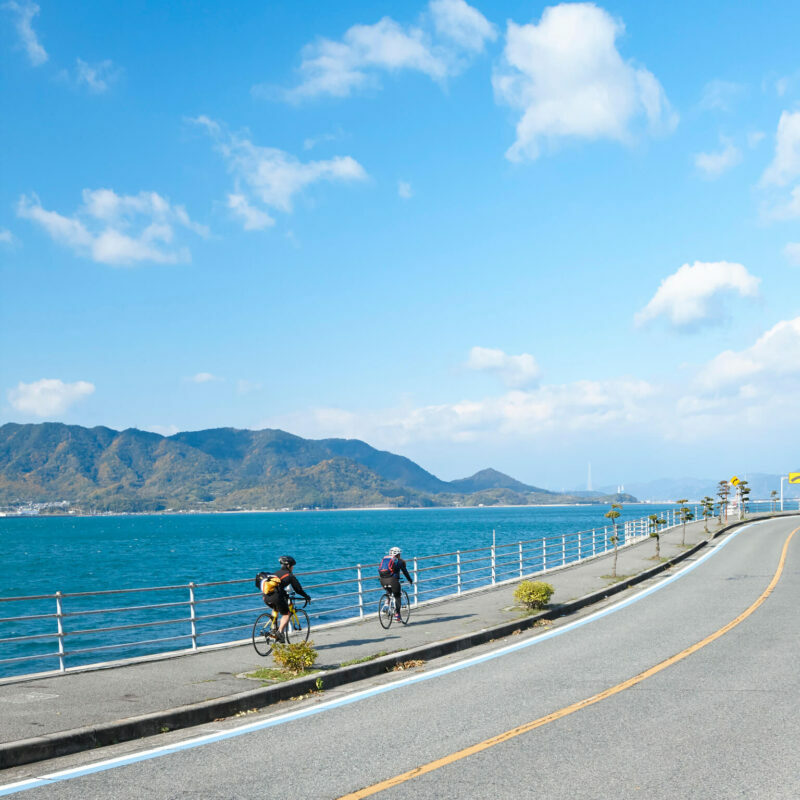 Kyushu, the southernmost of Japan's four main islands, has warm and comfortable weather nearly all year round. 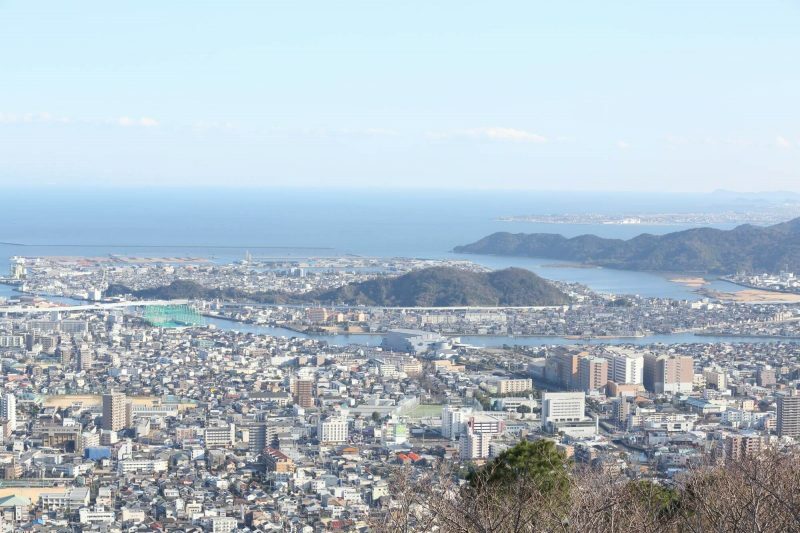 There are two historical port cities in Kyushu, Nagasaki and Mojiko, and both have fusion styles of food, architecture and communities as they were the earliest gateways to Japan, open to international trade, travel and immigrants. Visit Kumamoto and Kagoshima to view the magnificent volcanic landscapes and experience a hot sand bath. 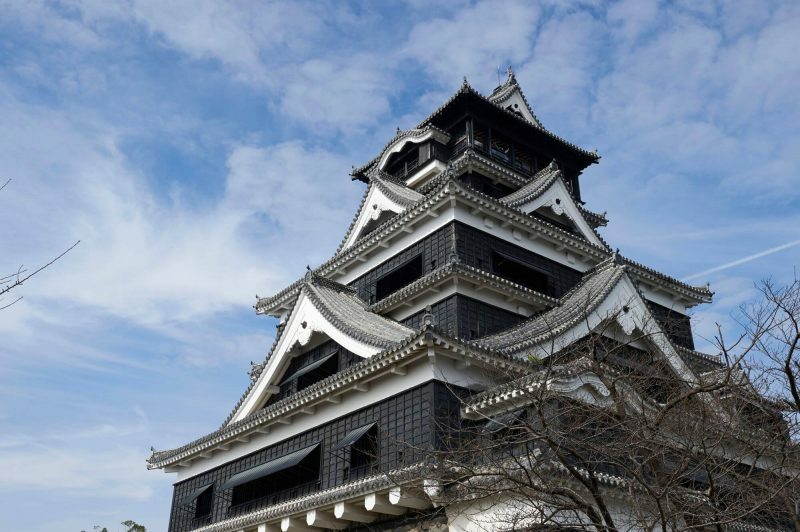 Don't miss the famous Kumamoto Castle, and be sure to add Oita, known as "the prefecture of hot springs," to your traveler's bucket list! 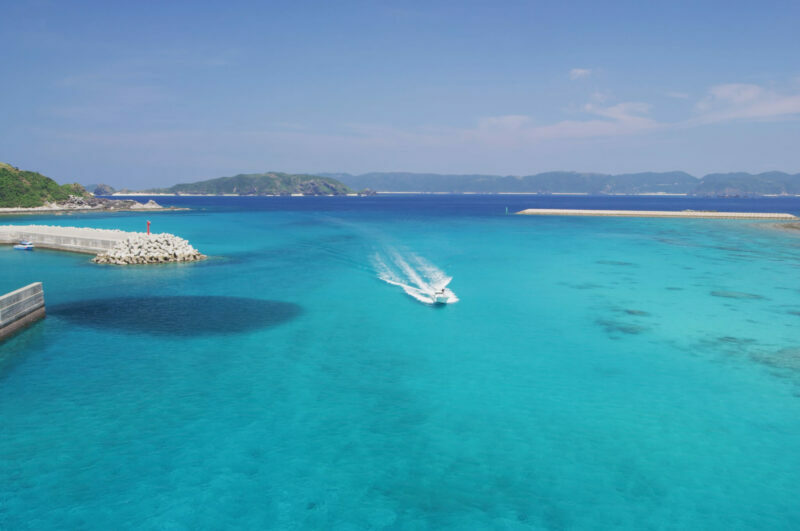 As the southernmost part of Japan's long island chain, Okinawa is a prefecture of subtropical climate and a resort for beaches and water sports. 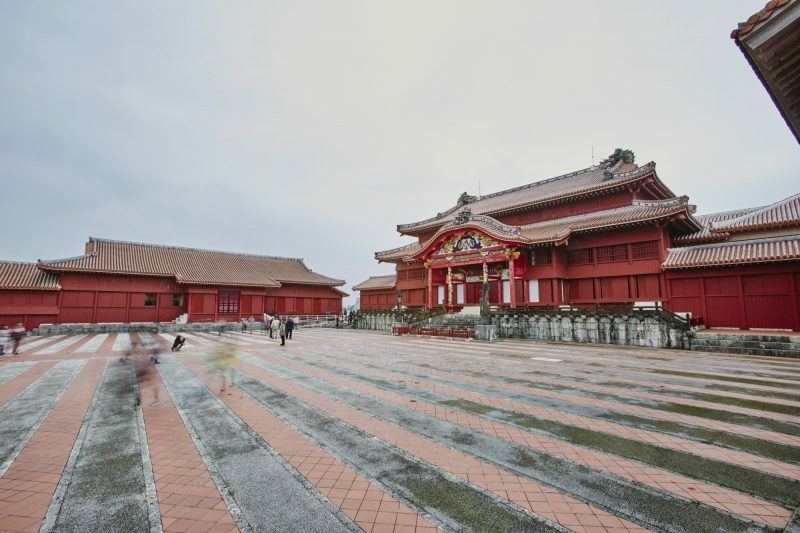 Come to explore the historical sites and restored Shuri Castle of the former Ryukyu Kingdom. Dive into the sea to visit the marine world of colorful coral reefs and undersea aquatic life. 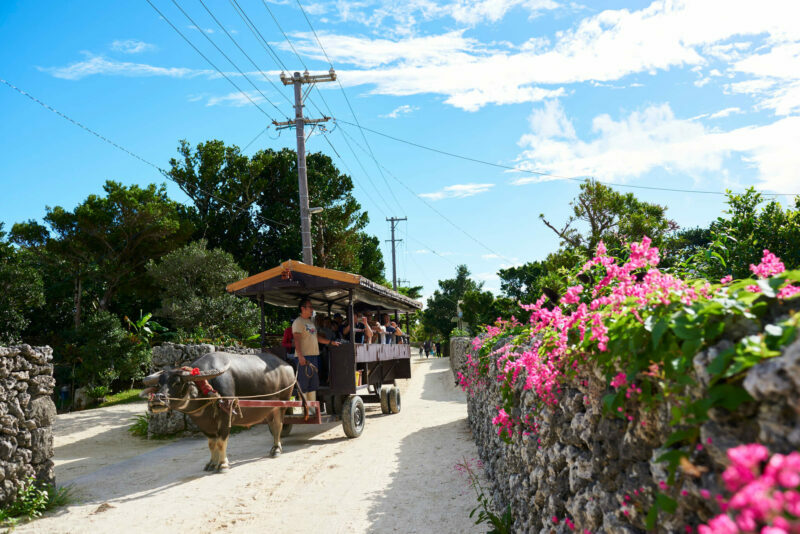 Whale-watching and dragon boat races are the exclusive and fun events that you can join in to enjoy the coastline and sea world of Okinawa. Do you know that karate originated in Okinawa? Come to learn more about it! From hotels to homestays, different styles of accommodation are open to the students on educational travel. See the introductions to the recommended accommodation options. The inns run by the large hotel chains are the easiest and most common choices for the tourists traveling to Japan. Most of the inns have sufficient and large rooms and space to accommodate groups and for group activities. 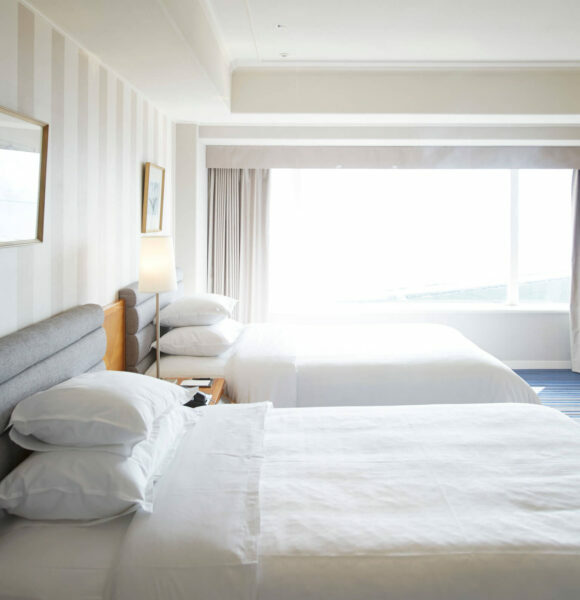 The clean environment, great locations, easy access to booking and stable quality of service are the main reasons for these inns to become international travelers' favorites. Feel like experiencing Japanese culture during your stay at a hotel? 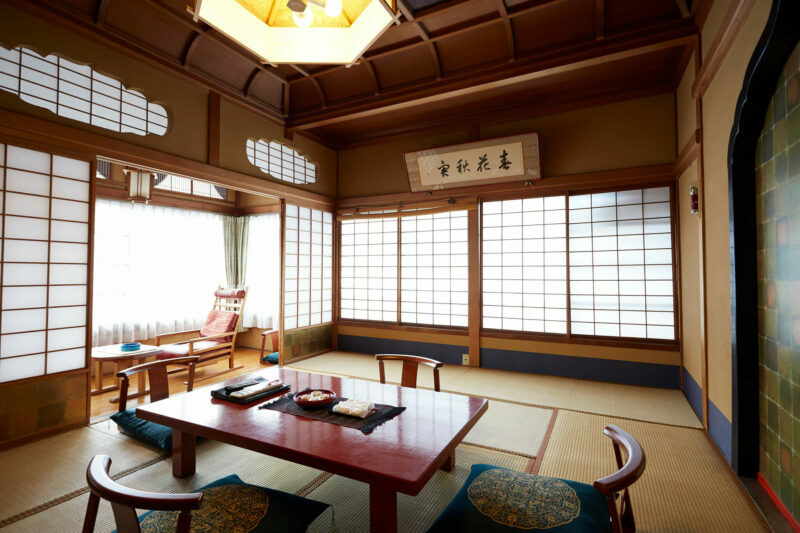 Japanese hotels, called "ryokan" in Japanese, offer not only great experience in accommodation, but their service and culture are steeped in Japanese-style and traditional conventions as well. At a Japanese hotel, you may stay in an antique Japanese house and enjoy authentic Japanese cuisine. Some traditional Japanese hotels even have their own hot spring and offer Japanese bathrobes to their guests. 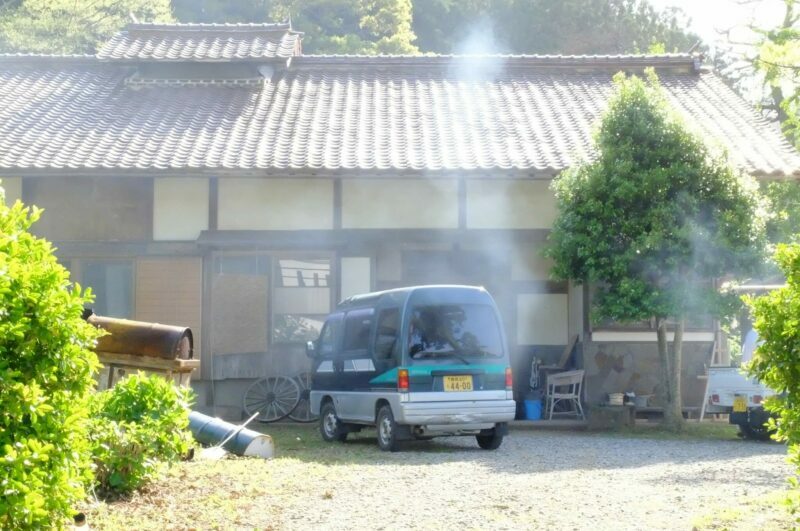 Homestays may be a best way to get closer to and learn from Japanese lifestyle. 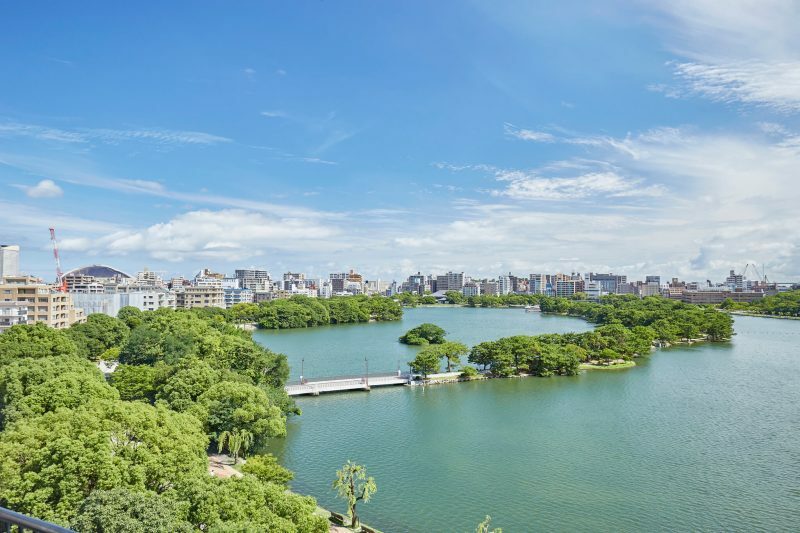 Instead of staying at hotels, you may interact and make friends with the locals while learning first hand about everyday Japanese life by spending a few nights with a Japanese family. 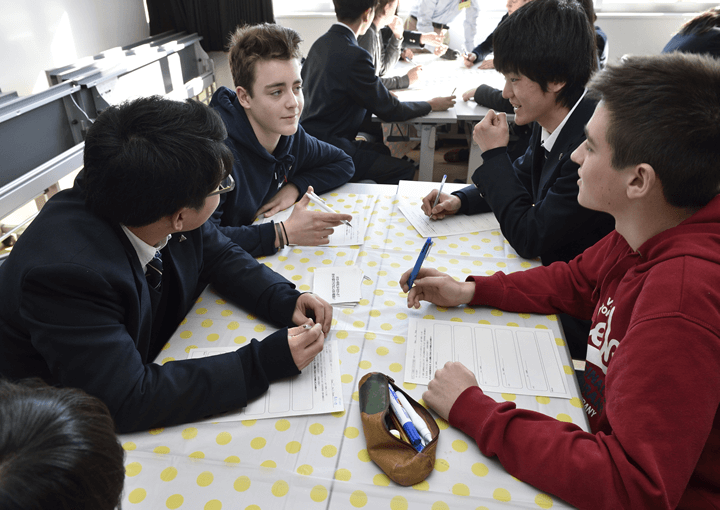 It's also a valuable opportunity to exchange and stimulate conversations between cultures. Farmstays allows people to stay with host families in farming and fishing villages and have an experience distinctly different from staying at hotels in urban areas. Staying in the countryside or seaside town, you have the access to the abundant surrounding nature, and a chance for an unforgettable experience meeting the local communities involved in forestry, fishing and farming. In some cases you may even get a little taste of their worklives by trying your hand at harvesting food, tending livestock, or other chores. The educational travel can be theme specific, focused on culture, history, nature, food, sports or any other theme you would like. 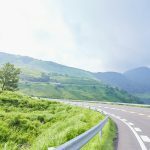 See here to access to more tourist resources and information about transportation all over Japan. The official tourism website of Japan by Japan National Tourism Organization. The official website of the Japan Tourism Agency. Copyright@Japan National Tourism Organization. All Rights Reserved.